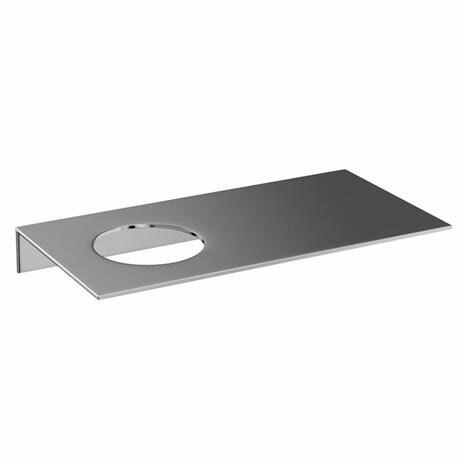 A modern wall mounted Britton stainless steel shelf with a offset hole, designed to be used with 1 Britton bathroom accessory (sold separately). Supplied with wall fixings. It offers the ideal solution to storing accessories in the bathroom as it is wall hung, it leaves the rest of the bathroom open from clutter.